With wide expertise in this domain, we have come up with a commendable gamut of Railway Wagon Accessories. To provide our clients with best-in-class products, we ensure that the offered range is manufactured using premium quality raw material only. Features of the products applauded in the market are resistance to corrosion, high tensile strength, Reliable performance and durability. We are a coveted firm engaged in manufacturing and supplying Front Cover. These are designed with utmost precision at our premises using advanced tools and instruments. Our offered range of these products find their applications in various engineering industries. We also offer custom-build products as per the details provided by the clients. We are a prominent firm engaged in manufacturing and supplying Coupler Rod. These are designed for the wheels of the train to provide movement according to the force of the engine. We make these products available in round and hexagonal shapes that can be availed as per the requirements. Before the final delivery to the clients, our quality analyzers test these products on different parameters such as thickness, dimensional accuracy and strength. 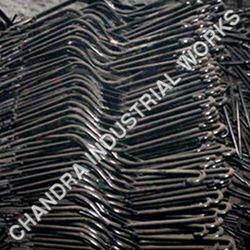 We are a prominent firm engaged in manufacturing and supplying Pull Rod. Our offered range of these products is manufactured under the vigil of our experienced professionals. After the designing, the products are coated with rust-proof coating to prevent the rods from corrosion. Clients can avail these products from us in different dimensions and thickness. 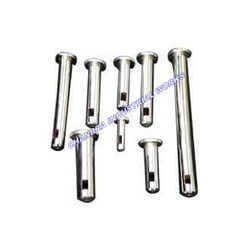 Our store offers the clients, sturdily constructed Push Rod. Manufactured at our well-equipped unit, these are quality tested by the experts, before the final dispatch. Our procuring agents ensure that only high quality raw material is sourced, so as to come up with a commendable gamut of rods. We customize these products as per their specifications of the clients for their maximum satisfaction. We offer a dimensionally precise range of metal fabricated railway brackets, Door Hinge Cotter that are manufactured with latest technology by using graded raw material. 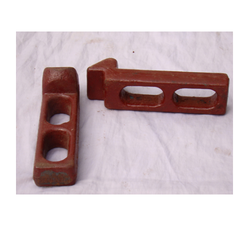 These are widely used for various applications in railway industry and have been appreciated for their durable performance. Clients can avail from us a remarkable array of Railway Pins. 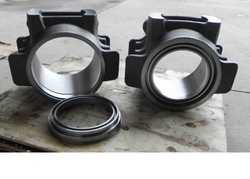 These are designed by a team of skilled professionals to close up different parts in machines and automobiles. We offered these products in different diameters, lengths and thicknesses, to meet the varied needs. Before the final dispatch, the offered range is tested on various grounds by the quality controllers. 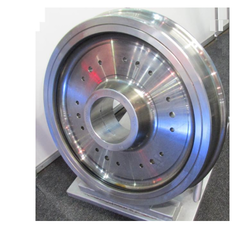 We have also gained expertise in the sphere of Industrial Collar machining various railway components that are widely used by our clients. Manufactured with latest technology, these machined railway components are appreciated for their high functionality and smooth operation.